WHY DID WE BUILD THIS PLATFORM? To provide companies with the ability to directly, and continuously, identify a diversified group of (a) highly qualified directors, who are free of conflicts, and (b) senior executives, so companies may field the most competitive team. To decouple the quality of the search solution from the experience level of the search consultant and his/her research team. The search process is a repeatable model, with participants that change every day. The Platform identifies every candidate who meets a Subscriber's search criteria, every time, on demand. The platform is agnostic with respect to candidate identification; no candidate is ever held back or omitted because of "off-limits." Our data, from S&P Global, and a Subscriber's searches are updated nightly so search for directors and senior executives is now a continuous process. Five-plus years of development from conception to Platform release, to allow companies to take direct control of the director and executive search process, using state-of-the-art digital technology with global data that is updated nightly. The Platform translates data into insight about people, the Directors and senior executives of every public and private company in the world. One efficient global marketplace for top talent. We deliver exceptional solutions, for exceptional results. Every day S&P Global Market Intelligence collects, scrubs, interprets, and analyzes vast volumes of content, turning it into actionable intelligence on the global financial markets and the companies and industries that comprise those markets. The Platform translates the S&P data to provide you with the information you need to identify the most talented people in the world, instantly and confidentially. The Platform is comprehensive, faster, better than legacy search processes, and far less expensive. An unlimited number of searches can be conducted for one annual subscription fee, that includes our proprietary insight into the S&P data. Initially identical to Computer Data until "touched" through the Member Portal with proprietary data added by each Member (ethnicity, language abilities, age, geographic preferences, board preferences, work history, reporting relationships, LinkedIn URL, Skills, Knowledge, Experience, etc.) as each Member "perfects" his or her Board profile. Brought in nightly through the Data Importer with records automatically updated unless "touched" through the Member Portal. The Director Search Platform provides the insight into the most important people in the world. Data discrepancies are resolved through Member and Director Search team. 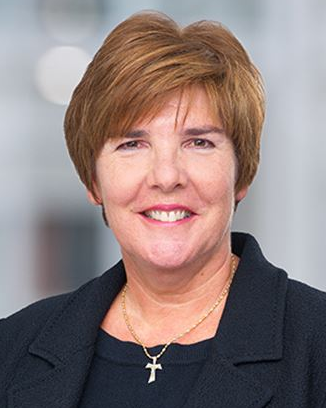 How do you ensure that you are identifying the most appropriate and experienced leaders from around the globe for Board and executive roles to drive innovation and shareholder value? How do you ensure that you are not missing anyone, EVER ? Instantaneous interactive search, benchmarking, peer group comparisons, and succession planning, with automatic daily updates to saved searches and candidate status. There is nothing like this Platform. No Qualified Candidate is Omitted or Missed, EVER! The Platform has ALL the data, on every public and private company in the world, updated nightly. Individuals may not opt-in to the Platform. Members are those who (a) are a corporate director; (b) report within 3 levels to a CEO; or (c) are nominated by another Member. 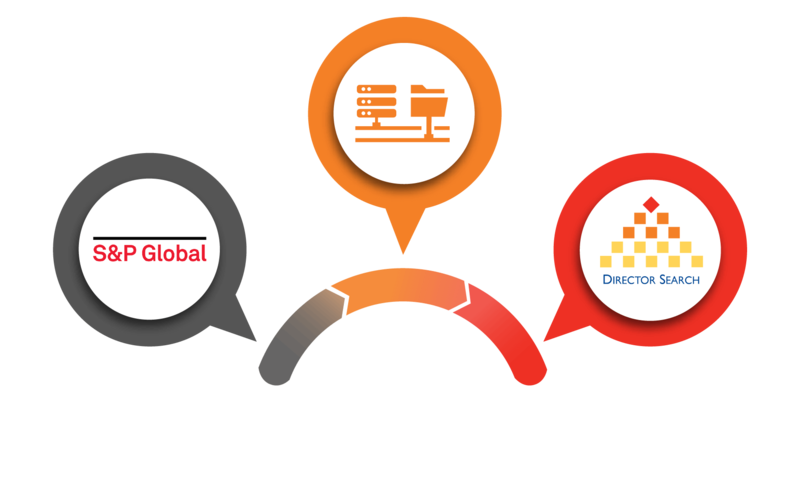 Director Search has strategically partnered with RHR International, the world’s preeminent assessment firm, to offer the Combined Solution. 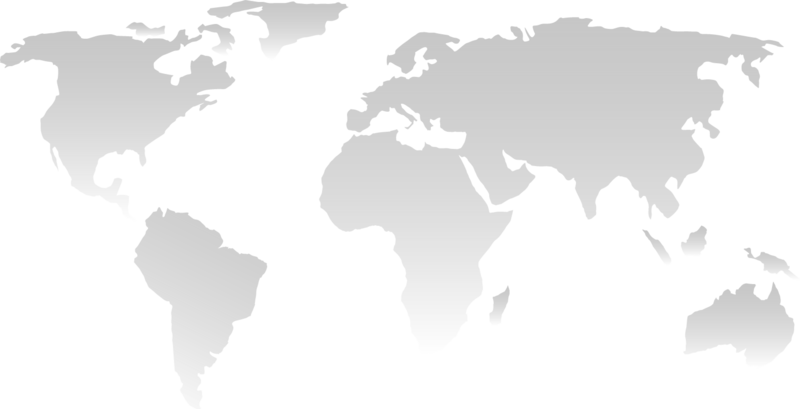 RHR’s international reach includes Australia, Austria, Brazil, Canada, China, France, Germany, India, Italy, Japan, Singapore, Spain, Switzerland, and the United Kingdom. Within the U.S., RHR has locations in Atlanta, Boston, Chicago, Dallas, Denver, Los Angeles, New York, Philadelphia, Salt Lake City, and San Francisco. The Director Search Platform is merit-based and agnostic, and will identify every candidate, on demand, who meets a Subscriber’s search criteria, without any bias, omission, or hold-backs for “off-limits” reasons. The Platform handles all conflict checking as well as candidate affiliations to Board members, two levels deep. Subscribers also can use the Platform for succession planning and benchmarking. RHR International can assess any candidate who the Platform identifies to help Boards and executive teams ask the right questions about “fit” with the Board and the company. Our Combined Solution provides a powerful outcome to help Boards and companies with their search for top talent. by nomination from existing Members. Members should register, claim their identity, and update their corporate board profile. 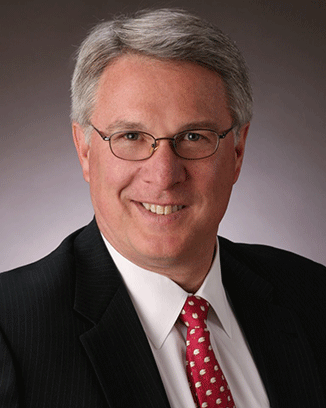 The Director Search platform augments legacy search practices but gives corporate boards, companies, private equity firms, venture capital firms, and hedge funds (Subscribers) direct control of the director and executive search process and direct access to the backgrounds of its 2 million Members on a 24/7/365 basis. Director Search is the next generation executive search platform. The platform’s 2 million Member records are updated daily and each is assessed for qualifications, conflicts, and board affiliations on every search request. The platform is consistent, thorough and unbiased; and it never sleeps. Director Search demystifies the search process and makes director and executive search an open, transparent, fully accessible process that is faster, better, continual, and much less expensive; an unlimited number of searches may be conducted for an annual subscription fee. As may be seen in the Platform Statistics, the platform brings together the global market participants – the approximate 650,000 corporate directors and senior executives of public companies – that control much of the world’s capital and investment decisions. The platform has the same data on over 60,000 directors and executives at private companies with annual revenues of $100 million or more. Subscribers can customize the search engine and search for candidates on a confidential and continual basis across many qualifications criteria, including company participation in global market financial indices. Multiple searches may be left “open” so the platform can continually match candidates to a Subscriber’s search criteria and provide daily alerts to changes in potential candidates or their status. Time is a board’s friend when looking for directors and the platform supports long periods of candidate consideration while also providing up-to-date qualified candidates and data. Subscribers also may benchmark corporate boards and a company’s executive team to assess their competitive stance, since board, company and any of the 2 million candidate profiles can be displayed with a simple click. Since the platform is interactive, a Subscriber can play “what-if” with the search criteria and immediately observe the effect on the candidate list as search criteria are varied and the candidate list is refined. 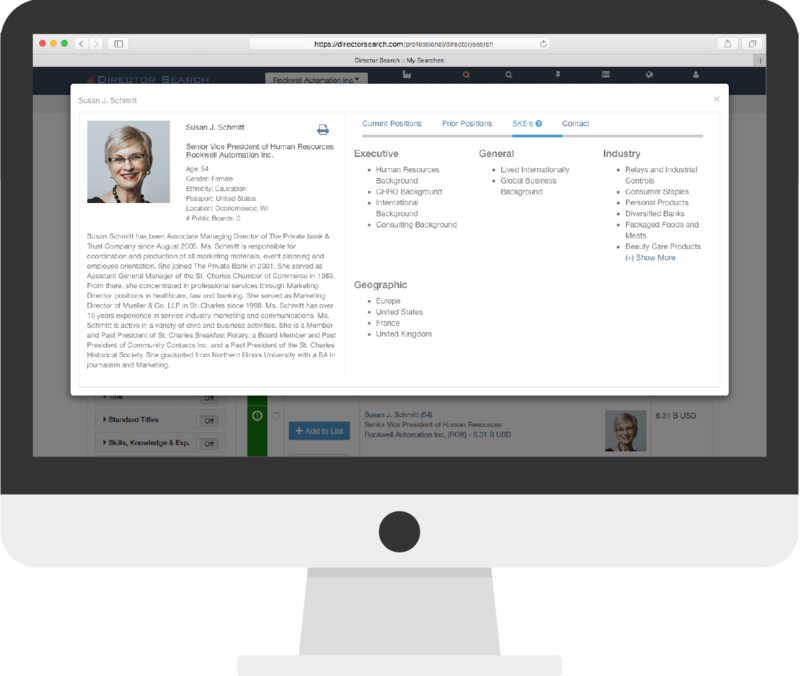 The Board Profile of each candidate is immediately displayed with a click so Subscribers can make an initial decision whether to retain the candidate for further review. Each candidate list can be refined, sorted, winnowed down, and saved for further review, with daily notifications of any changes to candidates or their status. Subscribers finally have a tool to immediately initiate a search and, if they choose, watch and consider potential director and executive candidates over time, knowing the candidate list and data always are current. 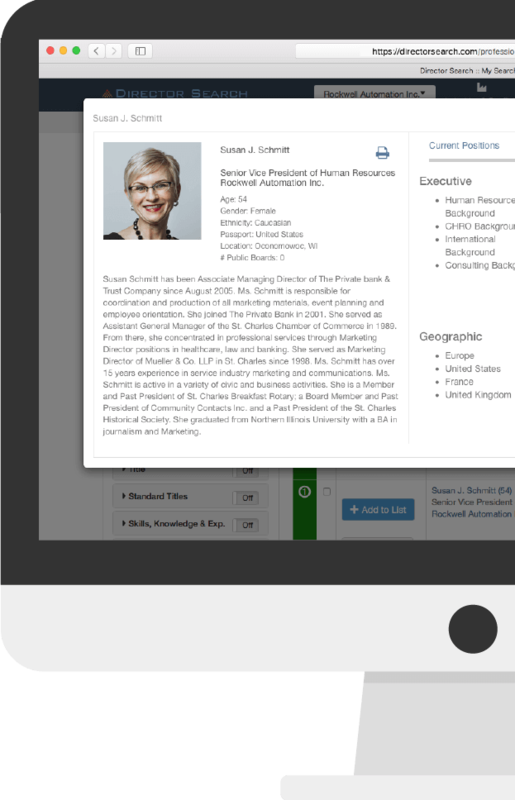 The Director Search platform has perfected the search and candidate identification process as its data is updated daily and each Subscriber can customize the search engine for candidate qualifications, conflicts and affiliations. Assessment of candidates for interest and “fit” still need to be made by the Subscriber or third-party firms but the platform has: solved the difficult candidate identification piece of the puzzle; and enabled continual candidate searching and updating to support the director and executive succession planning work of its Subscribers. The Director Search platform demystifies the search process and allows Subscribers to interactively identify and consider qualified director and senior executive candidates who are outside of their network.